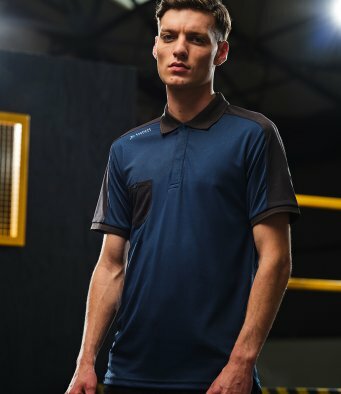 Moisture wicking anti-bacterial performance fabric. Contrast ribbed collar and cuffs. Contrast shoulder and back panels. Branding on front shoulder seams, right sleeve, centre back and front hem.